A series of adjacent caves in the Mount Carmel region are slated to be named to the United Nations Education, Scientific and Cultural Organization (UNESCO) World Heritage List this weekend for their fossilization of human evolution. At the 36th session of the World Heritage Committee, which began this week and runs through July 6 in St. Petersburg, committee members are expected to vote on nominations to the World Heritage List this Friday and Saturday. The four Mount Carmel caves clustered along the southern side of the Nahal Me’arot/Wadi El-Mughara Valley – Tabu, Jamal, El-Wad and Skhul – as well as their terraces, received nominations based on three criteria in two separate categories, “natural” and “cultural.” The sites are “located in one of the best preserved fossilized reefs of the Mediterranean region” and contain cultural deposits filled with 500,000 years of human evolution, from the Lower Paleolithic era to the present day, said a summary document that the World Heritage Committee printed in May. The Nahal Me’arot caves provide “a definitive chronological framework at a key period of human development,” according to the summary document. Archeological evidence found in the region indicates the appearance of modern humans who conducted deliberate burials and who were exploring early stone architecture, as well as transitioning from hunting and gathering to agricultural processes. The caves feature excavated artifacts and skeletal material, remains of stone houses and pits – all “evidence of the Natufian hamlet,” the document said. The Loagan Bunut National Park in Miri, which has Sarawak’s largest natural lake, is temporarily closed with immediate effect for visitors due to water shortage caused by the current dry season. 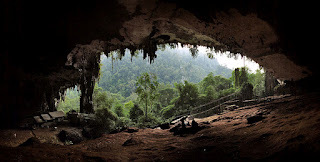 The Painted Cave Trail in the Niah National Park, near Miri, also remains closed due to maintenance work on the plank-walk system while its main gate at Gan Kira is currently inaccessible. "The Sarawak Forestry Corporation (SFC) will update when they are ready for reopening and any inconvenience caused is deeply regretted," SFC said in a statement, here, today. At one of the most unusual aquatic ecosystems in Malaysia, the shallow lake normally covers an area of approximately 65 hectares but when the water level in the adjacent Tinjar River is low, it drains completely, leaving behind a huge expanse of dried and cracked mud. It is said that this normally occurs two to four times a year, in February and in late May or early June/July. The park is home to a considerable variety of birds and during the dry spells in February and May-June, darters, egrets, herons, bitterns, storks and broadbills arrive in huge numbers to feed on the trapped fish while eagles, swallows, malkohas, stork-billed kingfishers, magpies, robins, doves, bulbuls, racket-tailed drongos, pied hornbills and kites can be seen all year round. A reindeer engraved on the wall of a cave in South Wales has been found to date from at least 14,505 years ago -- making it the oldest known rock art in the British Isles. 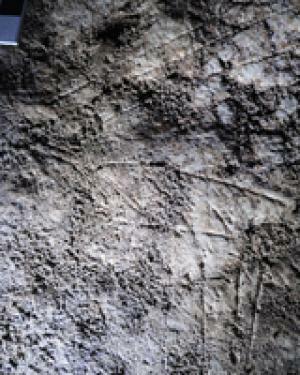 The engraving was discovered in September 2010 by Dr George Nash from the University of Bristol's Department of Archaeology and Anthropology while he was exploring the rear section of Cathole Cave, a limestone cave on the eastern side of an inland valley on the Gower Peninsula, South Wales. 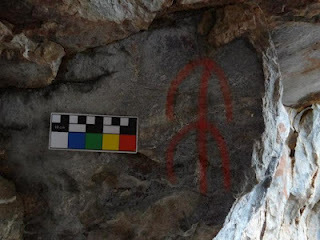 Found to the rear of the cave on a small vertical limestone niche, the engraved cervid -- probably a stylised reindeer -- is shown side-on and measures approximately 15 x 11cm. It was carved using a sharp-pointed tool, probably made of flint, by an artist using his or her right hand. The animal's elongated torso has been infilled with irregular-spaced vertical and diagonal lines, whilst the legs and stylised antlers comprise simple lines. The reindeer was engraved over a mineral deposit known as a 'speleothem' (cave formation), which itself developed over a large piece of limestone. 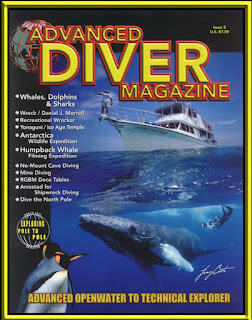 Extending over the left side of the figure is a flowstone deposit (speleothem cover) which extends across part of the animal's muzzle and antler set. In April 2011, Dr Peter van Calsteren and Dr Louise Thomas of the NERC-Open University Uranium-series Facility extracted three samples from the surface of the speleothem covering the engraving. One of these samples produced a minimum date of 12,572 years BP (before present), with a margin of plus or minus 600 years. A further sample, taken in June 2011 from the same flowstone deposit, revealed a minimum date of 14,505 years BP, plus or minus 560 years. Dr Nash said: "The earlier date is comparable with Uranium-series dating of flowstone that covers engraved figures within Church Hole Cave at Creswell along the Nottinghamshire/Derbyshire border. However, the new minimum date of 14,505 + 560 years BP makes the engraved reindeer in South Wales the oldest rock art in the British Isles, if not North-western Europe." 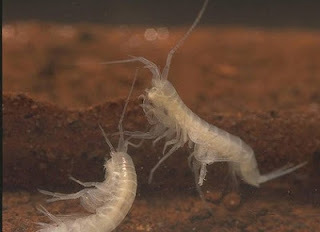 Cave divers discovered several new species - a transparent amphipod, a worm, and a small snail -in the Pearse Resurgence, a system in the remote Motueka Valley on the South island of New Zealand near Nelson. Pearse Resurgence is connected to the Nettlebed Cave, a deep, extensive cave system in the Mount Arthur Range. It was thought to be the deepest cave system in the southern hemisphere until divers pushed deeper in the nearby Ellis Basin cave system during an expedition in April 2010. "It's not easy to get inside the caves, and we want to know about the very specific life in them," says Dr. Graham Fenwick, a scientist at New Zealand’s National Institute of Water and Atmospheric Research (NIWA). 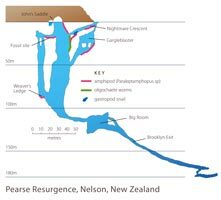 "It's important to do an inventory of life in New Zealand, and in this case, it's a pretty special type of environment, and we don't have many limestone karst systems that are readily explored." Worldwide, these aquifer studies are yielding rich troves of biodiversity. The importance of the stygofauna is twofold - they contribute to the health of the aquifer by biofiltration and in turn they may represent an important marker of the health of the water. 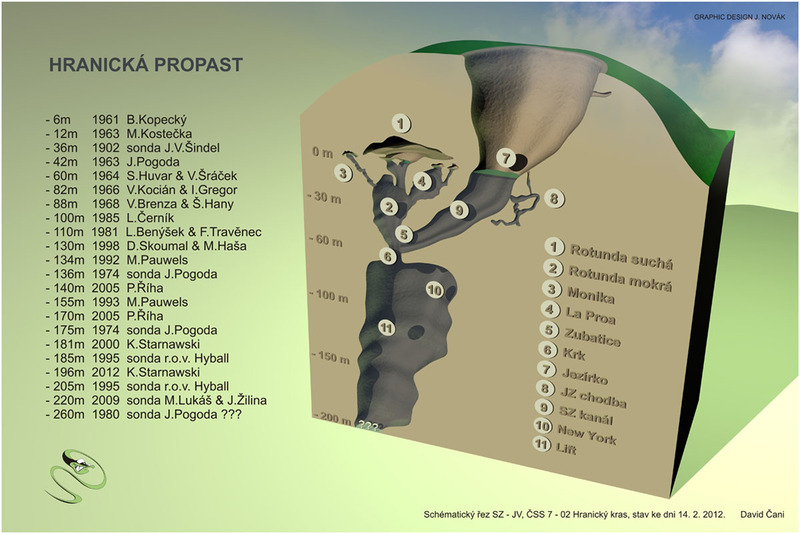 The Hranická Propast cave is located in the east of the Czech Republic, near the town of Moravě. 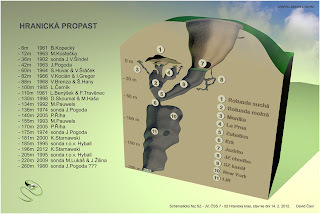 To enter the cave you have to climb the 315 m high Hůrka hill. 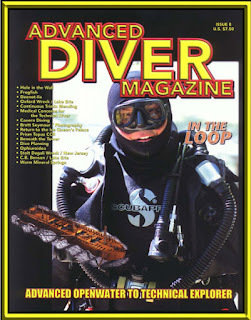 Previously divers have installed a cable guidance system to lower their gear easily. 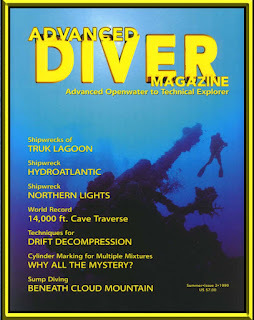 Diving in the cave is pleasant as the water temperatue is about 15-16°C all year round. 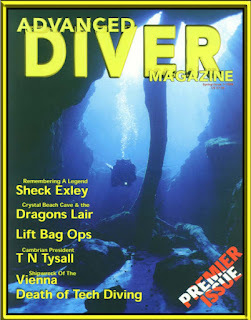 The first dives in the cave were done in the sixties. 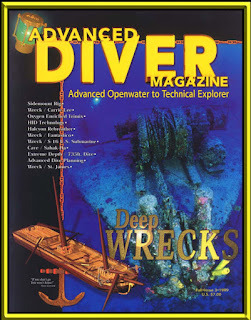 As the system got deeper and deeper people started wondering how far it would go and send in remotely operated vehicles (ROV) in search for the bottom of the well. Krzysztof Starnawski is now pushing the limits even further. During a 7.5 h dive, he reached an incredible depth of 217 m. The previous record was -200 m which he accomplished earlier this year. See the bottom of this post for the previous video report. 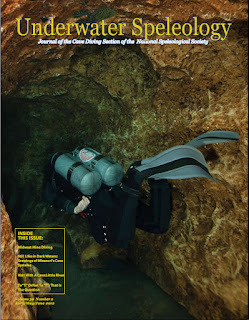 Below you can see a video report of a the Czech Cave Diving Expedition in the Hranická Propast system, where diver Starnawski went to a depth of 217 m. The film was shot with a GoPro camera, and GRALmarine light. week for the group's annual convention. Nothing has affected recreational caving like the spread of white-nose syndrome, the disease that has killed millions of hibernating bats in 19 states and four Canadian provinces since it was first detected -- by a caver -- in Schoharie Caverns, N.Y., in 2006. In an effort to slow the spread of the fungus-borne disease, state and federal officials initially closed all caves on public lands. Caves owned by conservancies and caving organizations in states where WNS had been found followed suit. "A number of caving events were called off, and the communities that hosted them suffered financially," said Peter Youngbaer, WNS liaison for the National Speleological Society. The closures also took their toll on campgrounds and cafes in caving areas, he said. Since then, as decontamination protocols were established for cavers and their gear, and as scientists learned more about the nature of the disease, a number of caves once closed have reopened, or are barring access only during winter hibernation months. "It's now a patchwork of closures that can make it a challenge for cavers to know where to go," said Youngbaer. But National Speleological Society members are committed to continue working with state and federal scientists to learn more about WNS and limit its effect on cave dwelling bats, while promoting public awareness about the disease and cave conservation, Youngbaer said. Rangers at Wind Cave National Park have seen an 11% increase in cave tour visitation over last year. More than 32,000 people have toured the cave so far this year. "The warm spring weather definitely helped our visitation, and it just hasn't slowed down since," said park superintendent Vidal Davila. "We're ahead of our 2010 numbers, when visitors to Wind Cave spent $17.6 million in the park and surrounding communities and supported more than 300 area jobs." Visitors to the country's eighth national park have over thirty daily tours to choose from, with the first tour entering the cave at 8:40 a.m. and the last tour starting from the visitor center at 6 p.m. Five different regularly schedules tours are offered each day during the summer. "With cave temperatures in the Black Hills in the upper 40s and lower 50s degrees, a trip into one of the area's caves is an excellent way to cool off this summer," Davila said. 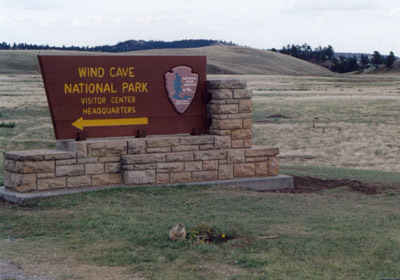 For more information about tours at Wind Cave National Park, call the park at 605-745-4600 or visit: www.nps.gov/wica. Digital Photography is hosting a photography contest. This time the challenge is all about caves. 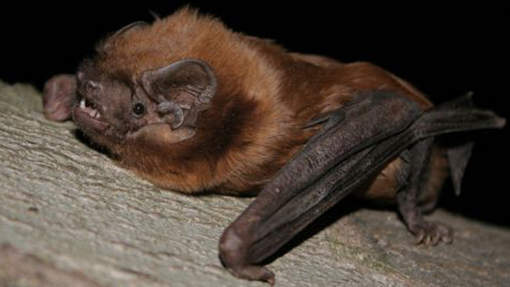 During a study of migratoy bats near the Belgian coastline held from april to mid-may, scientists were able to record for the first time sounds of the Greater Noctule Bat in Belgium. The Greater Noctule bat (Nyctalus lasiopterus) is a rare mammal found in Europe, West Asia, and North Africa. It is the largest and least studied bat in Europe with a wingspan of up to 46 centimeters and is one of the few bat species to feed on passerine birds. Greater Noctule bat is the only bat species to hunt birds on the wings rather than when roosting. The nearest sighting in Europe was one in Paris in 2009. The Cave Beach section of Waverley Beach will need a new name as long-term erosion took its toll last week. On Friday the middle bridging section of the cave cliff finally collapsed, ending what had been a great fishing spot, diving platform and iconic scene for photographers and painters. Bill and Joan Hunt, residents on nearby Coleman Ave for 19 years, said the end of the cave had been a matter of time. "There's been a lot of erosion that we've seen in this time," said Mrs Hunt. "There must have been hundreds of photographs taken with the sun setting through it. "And as for people who sat there painting it, lots of people, not just locals either." The couple now only have their own photo album and memories. "There's been a few fish caught off that, I tell you," said Mrs Hunt. Mr Hunt said there used to be a ledge where young people could leap off into the surf. "You'd get ticked off by your parents." The entire cliff face had changed as there used to be more land behind the bridging section as well. "They've all just gradually dropped away over the years, you're not going to stop that," Mr Hunt said. The signposts which direct traffic to the carpark area and boat ramp still read Cave Beach. 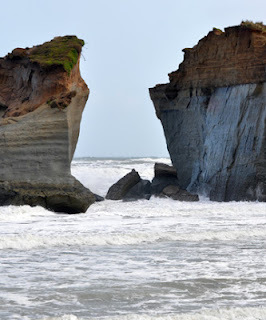 The Cave Beach section of Waverley Beach collapsed recently. The Conseil Général du Lot (the regional government) have acquired ownership of this spring, which will before long become another classic dive site in the Départment Lot. Last week, the governments' technicians investigated the conditions around the site and found that the wall on the site is about to cave in and if that happens, a blockage of the entrance is likely to occur. Sizable works need to be untertaken to rectify this situation and are planned to take place in September and October in order to create a safe and secure entry to the cave. In the mean time, considering there is real risk of a cave in at this moment, the Conseil Général have ordered an immediate stop to all diving activities at Marchepied. A municipal order will be effectuated by erection of a closure at the site in order to relieve the new owners of their legal responsibilies. Please understand that after the works to secure the entrance have completed, the site will be opened for diving! The region of Gorny Altay in Siberia is known as a land of mountains – and caves, big and small. 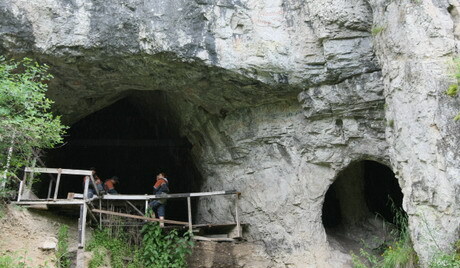 One of these caves, situated near the Anuy River and called the Denisova Cave, can without exaggeration be called unique. It is not for nothing that the cave was included in the UNESCO World Heritage List. Many artifacts which have been found in this cave are so significant for science that they can be compared with the artifacts of Egyptian pyramids. 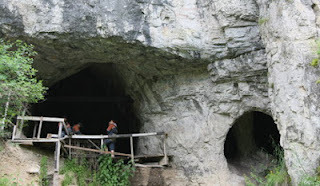 Archeologists started to explore the Denisova Cave in the 1980s, after scientists had found out that many thousands years ago, the region of Altay had a climate very favorable to people, and ancestors of the Homo Sapiens species lived here. However, when archeologists were only starting to explore the Denisova Cave about 30 years ago, they didn’t expect it to turn out to be a practically unlimited treasury of archeological artifacts of various epochs. The older artifacts which were found here are about 280,000 years old. 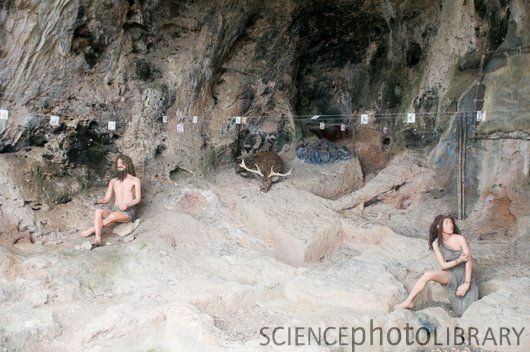 It was decided to open a scientists’ camp near the cave. Later, the camp was turned into a large-scale scientific center with is own laboratory, where the objects found in the cave are thoroughly examined. 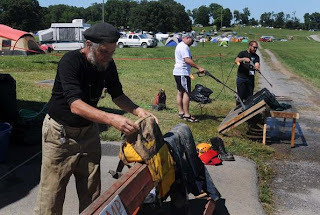 Every year, about 100 archeologists and other scientists work in this camp. The NSW Cave Rescue Service held an exercise at Bungonia Caves last weekend in a section of the Argyle Cave called ‘Flattener’, which is only wide enough for one person to squeeze through at a time. It also has five other sections known as Pitches 1-4 (‘pitches’ are underground cliffs) involving abseiling down the cliff wall; and the ‘Keyhole’, a very narrow entry hole to the cave. “This cave system is very popular with adventurers and cavers who have experience in abseiling and rock-climbing type activities,” vice president/captain of the rescue team Joe Sydney said. “These are only a few of the 190 caves in the Bungonia system, with hundreds of tourists also visiting each year. The potential therefore, for a rescue operation can be huge. 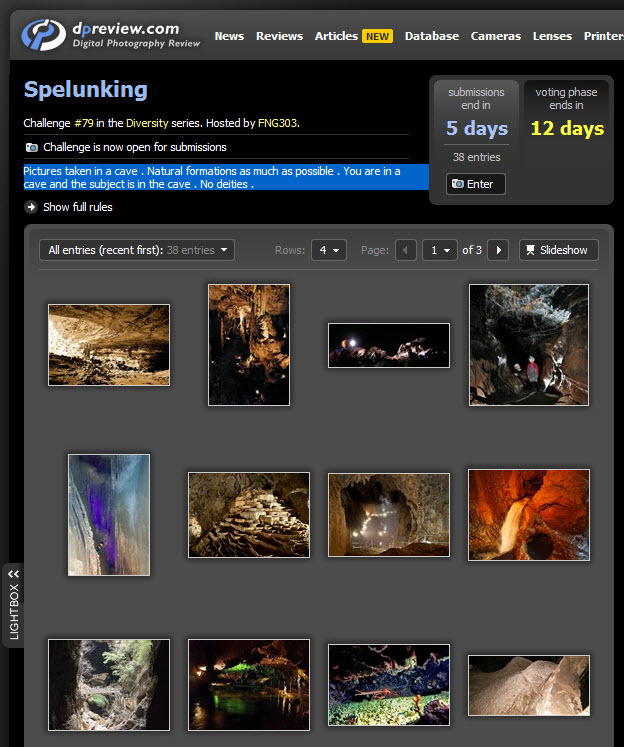 “The cave system is mainly vertical, very ‘sporty’, and a popular cave for intrepid adventurers and cavers. It also has the perfect atmosphere for a cave rescue, so we decided to conduct an extrication exercise in here, to determine how long it would take to retrieve a casualty in a stretcher. 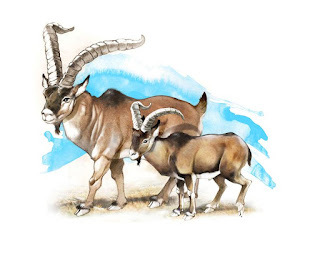 years ago (left) and a modern ibex extinct in the year 2000 (right). Credit: SINC / José Antonio Peñas. The sub-species of the Iberian mountain goat Capra pyrenaica pyrenaica became extinct in the year 2000 before its biological and phytogenetic characteristics could be explored in depth. A new study has shed light on their size, origin and post-Ice environmental conditions after discovering three skull fossils from between 4,000 and 7,000 years ago in the southwest of the Pyrenees. In 1984 and 1994 during routine explorations the Speleological Group of Estella (Navarra) and Pedraforca (Barcelona) found the bone remains of two male and one female Ibex in the Karstic caves and wells that acted like traps in Larra (Navarra) and Millaris (Huesca). Both locations lie at 2,390 and 2,500 metres height, respectively. Up until now few fossils of this species (Capra pyrenaica pyrenaica) had been discovered in these areas. Ricardo García-González, researcher at the Pyrenean Institute of Ecology (PIE-CSIC) has been put in charge of analysing the skulls and comparing their craniometric characteristics with both fossil and modern day neighbouring mountain goat populations. Published in the 'Comptes Rendus Palevol' journal, the results suggest that these wild goats were 50% bigger than modern Ibex that lived in the Iberian Peninsula until it became extinct from the Pyrenees in the year 2000. 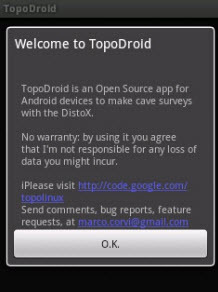 TopoDroid is an Android app for cave surveying. The survey data are downloaded from a DistoX or they can be entered manually. Sketches of the cave are drawn freehand around the centerline skeleton. The survey data can be exported in Therion format. Survex, Compass and VisualTopo file export is also supported. 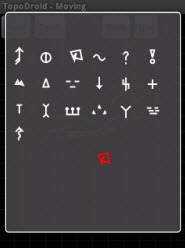 Drawings are saved as Therion "th2" files. They can be also exported as PNG image files. TopoDroid can toggle the DistoX calibration mode, compute calibrations, and upload the calibration coefficients onto a DistoX. TopoDroid is designed to take data and notes, and to draw sketches in the cave, one survey at a time. 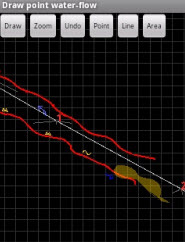 It does not fully manage complex cave survey projects. It relies on the Cave3D app to display the 3D presentation of the centerline of the survey. TopoDroid uses a linear workflow model, with two lines of work: one for surveys and the other for calibrations. TopoDroid main window displays the list of surveys or that of calibrations. The user switches between the two by tapping on the top tabs. There are menus to create a new survey or calibration, to import one, and to manage the DistoX devices. 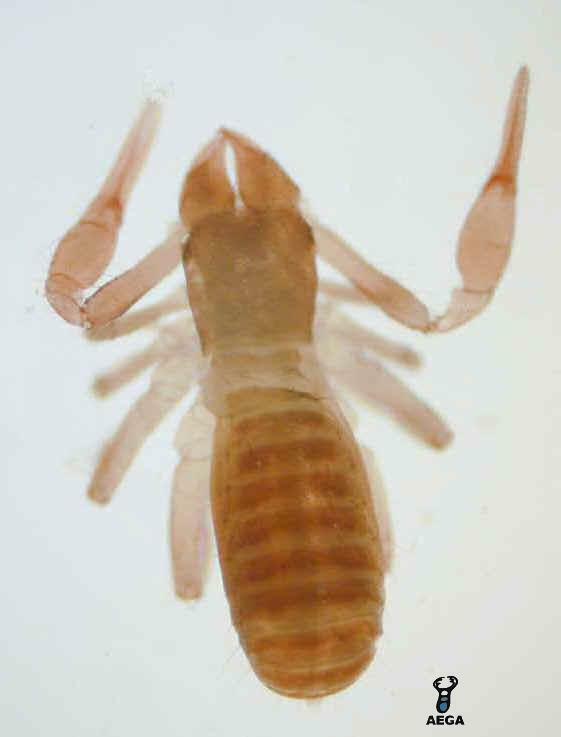 In the latest issue of the journal "Revista Ibérica de Aracnología" Dr. Juan Antonio Zaragoza of the University of Alicante describes a new species of the pseudoscorpion family Chthoniidae discovered in the Gruta do Fumo (Smoking Cave) in Portugal (Sesimbra). 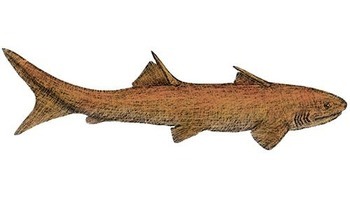 The new species has been named Chthonius (Epphippiochthonius) cardosoi Zaragoza, after one of the collectors of this species, Dr. Pedro Cardoso (University of the Azores). During autumn, migratory bats use a combination of fat reserves and food to fuel their strenuous long-distance flights to the south. This is reported by researchers from the Leibniz Institute for Zoo and Wildlife Research in the "Proceedings of the Royal Society of London." Songbirds that migrate at night, such as the blackcaps, only use their fat reserves as a fuel to power their migratory flights. This is the only source for energy since they are not capable of hunting insects during the darkness of the night when they migrate. Yet, mammals are not capable of fuelling high metabolic rates exclusively by fat oxidation -- otherwise human obesity would be unknown to modern society. 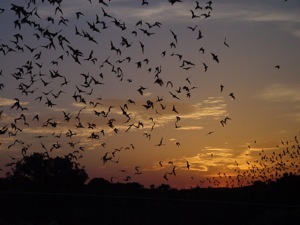 Therefore, the team led by Christian Voigt investigated which fuels migratory bats use to power their long-distance flights. In autumn, they collected breath from Nathusius' pipistrelles while these bats migrated from the Baltic region to the south. In the bat breath, the researchers measured the carbon stable isotope ratio. When animals oxidize exclusively fatty acids from their body reserves, breath is depleted in carbon-13 (13C). However, if animals oxidize exclusively ingested food, breath is enriched in carbon-13. 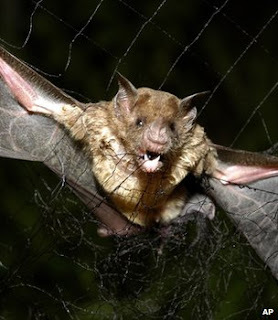 The researchers found intermediate enrichments of carbon-13 in the breath of pipistrelles, and therefore concluded that bats used a combination of fat and ingested food as their fuel. It appears as if bats use a mixed-fuel similar to the E10 gasoline recently introduced for cars. In the case of bats, a mixed fuel helps bats to save parts of their fat reserves for hibernation in Southern Europe, for example France. In contrast, migratory birds do not hibernate and therefore have to travel further south, some even to Africa, in order to avoid the harsh European winters. Hibernation in Northern Europe is not an option for migratory bats since they prefer tree roosts in which they would freeze to death during the cold northern winters. Destiny seems obsessed with rock-art these days. 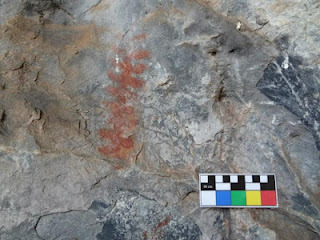 Juan Carlos Jiménez, forest firefighter at Valencia de Alcántara at the Spanish-Portuguese border, in Extremadura, discovered several Neolithic rock art weeks ago at San Roque pass and other mountain locations (Sierras of San Pedro and Santa Catalina). Archaeological experts from the regional government estimate the age of these paintings on 3500 to 2250 years BCE. New version 2.00 of the Palm OS DistoX calibration program available. It implements its constructor's latest calibration algorithm and accepts a variable number of measures between 40 and 56. The program now allows to view calibration measures in raw mode and to save them as a CAL file on the memory card for diagnostic in case of a problem. research company on Chouteau Island on June 12, 2012. 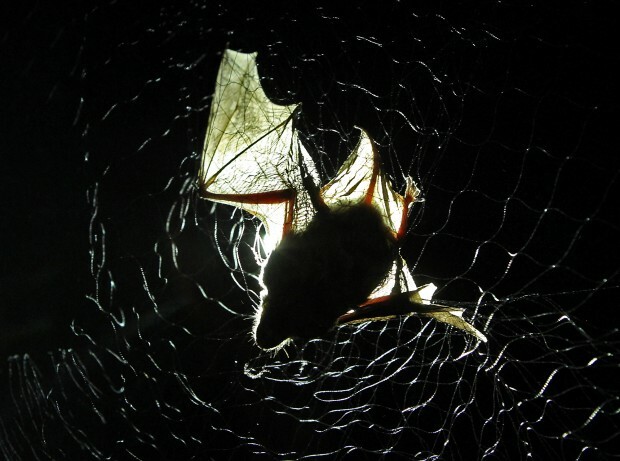 The bats started flying into the nets shortly after dark. Like motorcycle officers running radar on a well-traveled road, biologists set traps for unsuspecting bats. "They're used to their regular routes, and we hope to catch them not really paying attention to the fine detail of our nets," said Janet Tyburec, a biologist for Bat Conservation and Management Inc. of Carlisle, Pa.
Tyburec, 45, and field technician Brenna Long, 27, are helping the Army Corps of Engineers study the Indiana bat, an endangered species. The bat, which hibernates in caves in the winter and summers in forested areas, makes its home most frequently in the central United States, where white-nose syndrome has become a concern. 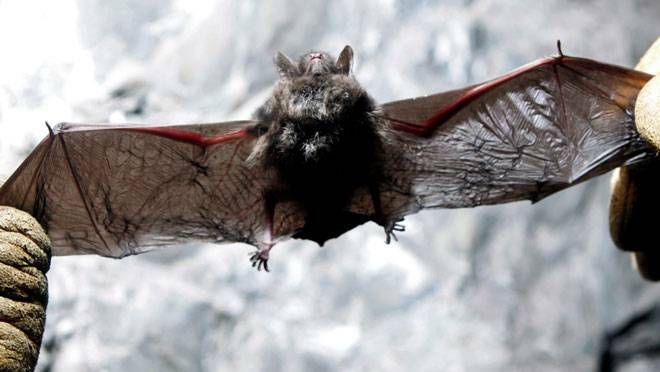 The disease has killed more than 6 million bats in four Canadian provinces and 19 U.S. states. First detected in 2006 in New York's Adirondack Mountains, it's unclear how the fungus got to North America. One possibility is that it hitchhiked here on the clothing of tourists. Beneath the Amazon rainforest, scientists have recently discovered hundreds of massive caverns in the rich deposits of iron ore. Most have not been properly explored and researchers believe they may host unique geology and life. Excavations in one cave revealed evidence of human settlement 9,000 years ago. Our science editor David Shukman and cameraman Tony Fallshaw were among the first news teams to venture inside. 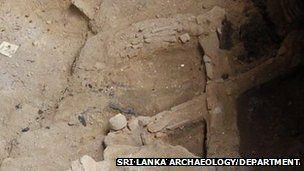 A complete human skeleton - which could be the oldest found so far in South Asia - has been found in Sri Lanka, archaeologists say. It was excavated from a cave in western Sri Lanka. Officials say they will send it for carbon-dating and expect results in a month. Other items, excavated from the same layer as the skeleton, have been confirmed as dating back 37,000 years. Stone and bone tools were found with the skeleton. The skeleton - thought to be homo sapiens - was found in Fa Hien Cave in the district of Kalutara, Western Province, Sri Lanka. Human remains were also discovered at the cave in the 1960s and 1980s. Archaeologist Nimal Perera told the Sri Lankan Daily News that the find - made a few days ago - proves that homo sapiens settled in Sri Lanka about 40,000 years ago. 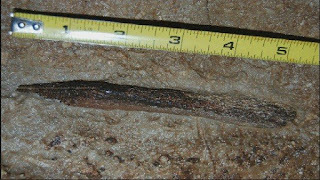 He said the find is the first time that a complete pre-historic human skeleton has been unearthed in Sri Lanka, and more evidence is currently being unearthed about its eating habits, rituals and equipment made out of stone. Some ornaments made of beads have also been excavated, as have weapons made of animal bone, Dr Perera said. 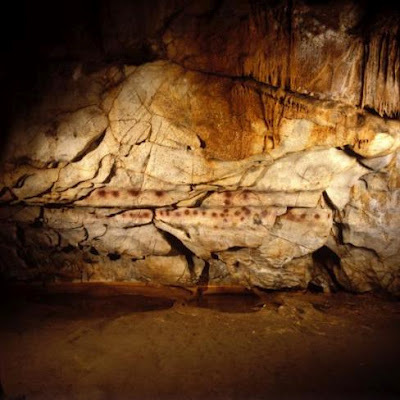 Highly respected archaeologist and prehistorian Jean Clottes has raised a question mark on the AMD datings of the Iberian rock art, recently claimed to be older than 40,000 years in some cases. He essentially questions the method of dating, frontally clashing with JoãoZilhão, who in the press conference defended the high reliability of the Uranium series method, which he says has not yet been fully demonstrated in its efficiency. Another highly reputed expert questioning the dating is Hellene Valladas, who dated Grotte Chauvet. Sources: Pileta, Bradshaw Foundation, Bloomberg. During several dives in May and June in the "Résurgence du Bateau", in the Ardèche region in central France, JP Baudu succeeded to push the known section of the resurgence from 800 m to 1330 m and succesfully connect it to the St-Marcel d'Ardèche cave system, adding two more entrances to the system (Bateau & Ecluse). The sump is currently the longest one known in the Ardèche region. * June 16th: JP Baudu continues to explore the newly discovered section up to 1330 m ending on a pit at -65 m, where the connection with the St-Marcel d'Ardèche cave system was made. Visibility: 3 m at the start, 1.5 m at the pit. 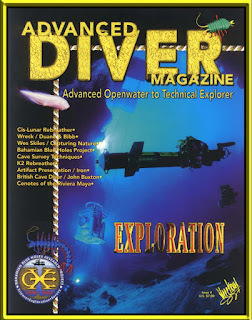 Dive time: 5 h.
The team wishes to thank Philippe Brunet for all the info on the cave system as well as topo points. More information on the Bateau-Ecluse system can be found at 1001Siphons. 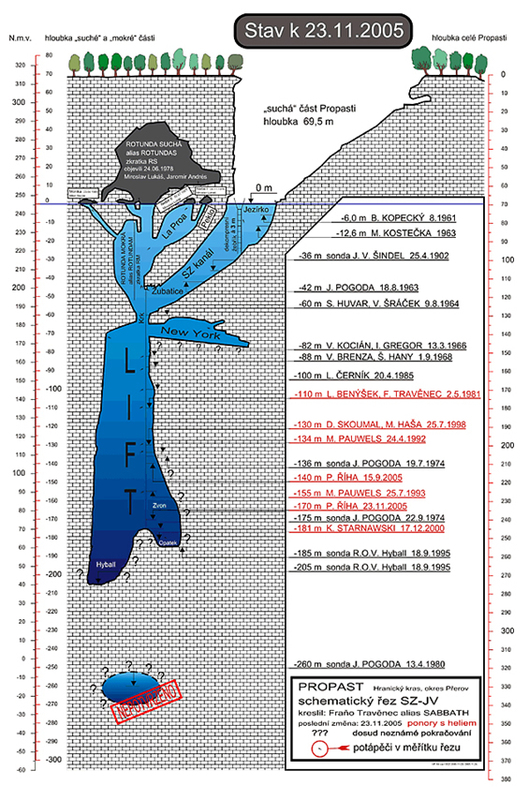 Click here for a hydrogeological study of the system by Philippe Brunet. 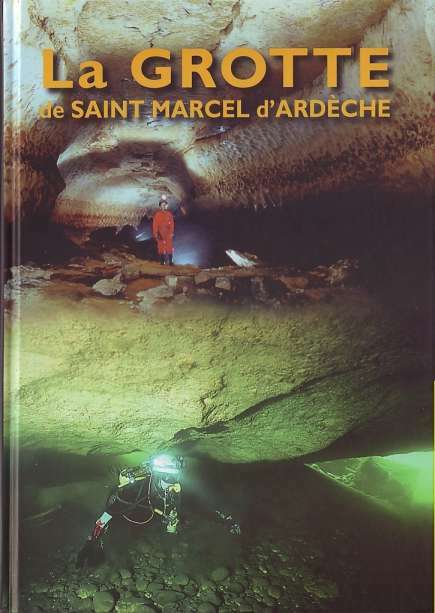 A nice book about the cave has been published in 2008 and is available from Spelunca Library for € 29. 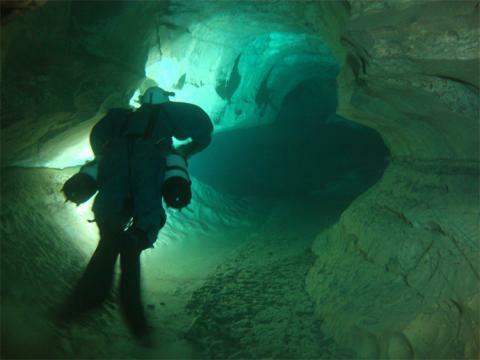 Alexandre Chowdhry, a forty years old diver from Bredene died this weekend during a cave dive initiation in the "Trou du Diable" (Devils hole) in Anhée, Belgium. The exact cause of the incident is still unknown. The man was part of a larger group (13 persons) from open water dive school Coral from De Haan. 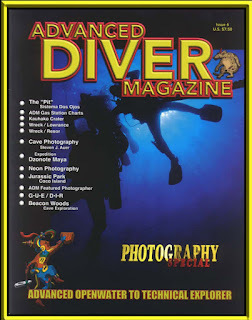 The dive trip into the cave (actually an old submerged Blue Limestone mine) was part of an adventurous weekend organised by the dive school but supervised by local cave divers. 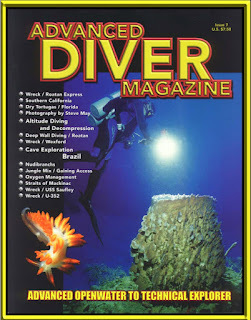 Not far from the entrance at a depth of 4 meters Alexandre signaled the "No-air" signal. His buddies who thought there was some problem with his equipment were able to pass a regulator to him, but after inhaling only once he stopped breathing and his body went numb. His comrades were able to bring him back to the surface where they started CPR untill the emergency services took over. 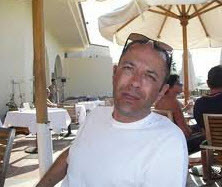 An ambulance took him to the nearby hospital in Mont-Godinne where he died from the results of a cardiac arrest. The mine is a popular training spot amongst cave divers due to the large tunnels and good visibility, though there seems to be some discussions wether or not it was completely legal to dive there as access was forbidden for a while when some other cave diver died due to falling rocks a few years ago. 200 metres in Cape Range, Western Australia. Beneath the very feet of Australians lives a mysterious group of animals known as stygofauna. Named after the River Styx, where dead souls cross from Earth to Hades in Greek mythology, these little creatures dwell in perpetual darkness, in groundwater, and were long thought to be rare in Australia. Only in the last two decades has the startling richness and strangeness of this subterranean life come to light. 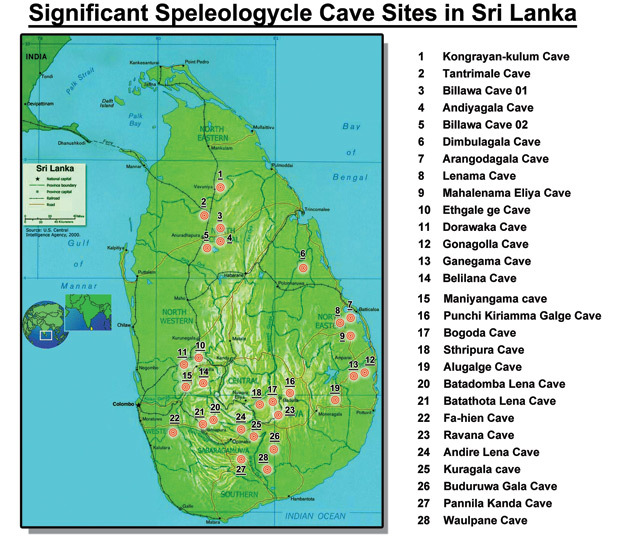 Cave ecological systems are very important to protect and sustain an environment, Post Graduate Institute of Archaeology personnel Dr Wasantha Sena Welianga said. “The project to map out caves in the country and to introduce cave tourism to Sri Lanka has already in progress over the past two years. 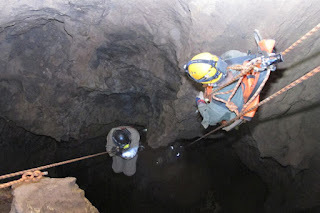 By now, the group of cave explorers has so far studied the eco - systems of 52 of the country’s caves,” Dr Welianga said. This project is being launched under the guidance of Post Graduate Institute of Archaeology Dr Wasantha Sena Welianga. 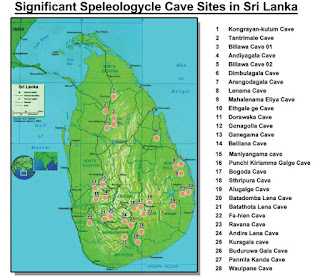 “Around 10 out of the 20 caves so far mapped out are situated in the in the Monaragala District,” he said. “These caves were believed to be inhabitated by the Veddha community in the past,” he said. 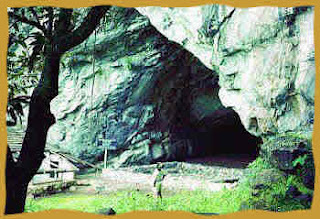 “Other inspected caves are located in the Rathnapura, Badulla and Gampaha Districts. Numerous caves are hidden sites. A fundraising challenge walk has raised more than £3,000 for the Clapham-based Cave Rescue Organisation. The event was even more important than ever this year as the rescue group has lost its main source of funding with the cancellation of the 2012 Broughton Game Show. 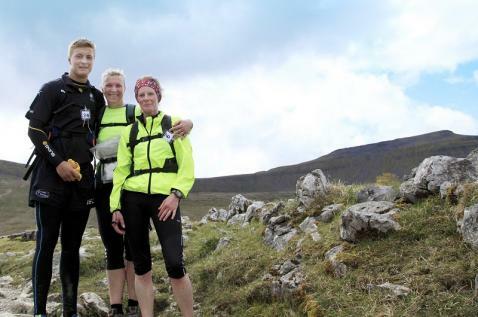 Instead of using its usual Three Peaks route, the challenge followed a new course across the varied terrain of Ingleborough. To attract both dedicated runners and intrepid novices, there was a choice of two options – the 26-mile Ingleborough Marathon taking people on paths that are seldom used and to the summit of Ingleborough, or a 13-mile walk using part of the marathon route, but not to Ingleborough summit. The challenge still took participants on paths that are seldom used, with spectacular scenic limestone views. The event was a huge success not only for the CRO and its fundraising team but for the people taking part. One marathon competitor said: “It was a challenge and took me to areas around Inglebor-ough that I hadn’t previously explored. It was always reassuring to come across a CRO member after a couple of miles relying on the map. Bat populations in Nova Scotia are dwindling due to the spread of white-nose syndrome. The fungal infection, just confirmed in this province in spring 2011, has already caused the deaths of about 30 per cent of bats in some sites in the province, says Hugh Broders, a bat researcher at Saint Mary’s University in Halifax. “It is incredibly sad,” said Broders. “It is only going to get worse. Broders, an associate professor and chairman of the university’s biology department, and his research team monitor five bat wintering sites on mainland Nova Scotia, such as caves, where bats hibernate. “When we did our surveys of these sites in early winter, all were normal,” he said. “When we went back in late winter to do our surveys, we found evidence of the fungus at all of the sites. While the bat counts were normal at the remaining three sites, Broders expects they will also show significant population declines by next year. Cylinder Marking for Multiple Mixtures: Why All the Mystery? A local cave owner finds interesting fossils on a regular basis, but some recent discoveries could mean Smallin Cave is home to a rare prehistoric fish. This animal would have lived more than 300 million years ago while the Ozarks was completely underwater. All that's left is buried in the wall of Smallin Cave in Ozark, Missouri.That means to see it, i put on a helment and went spelunking. Kevin Bright leads tours into Smallin Cave near Ozark, Mo. Bright owns the cave, and he says there's always something to be found for those with a sharp eye...and a good headlamp. "When you walk into a cave," Bright said. "It's just such a unique treasure. And a lot of times we don't appreciate the things in our backyard." The Sabaragamuwa Provincial Roads and Tourism Ministry is taking steps to declare the Waulpane cave area in the Kolonna electorate as a tourist zone. Development work in the surrounding area of the lime cave has commenced after an inspection by Provincial Minister Athula Kumara Rahubadda. A fence will be erected at a cost of Rs. 240,000. Rs. 319,779 has been allocated to provide health facilities. A children's park will also be set up at a cost of Rs. 178,033. Culling vampire bats in South American nations does not curb the spread of rabies, in fact it could actually be counterproductive, a study suggests. Until now, it had been assumed that controlling bat numbers would, in turn, control the spread of the rabies virus. Researchers say rabies is found in most bat populations, but vampire bats - which feed on mammals' blood - are responsible for most infections. The findings have been published in the Proceedings of the Royal Society B. "We found that rabies is there no matter what," said co-author Daniel Streicker, an ecologist at the University of Georgia, US. "The size of the bat colony didn't predict the proportion of bats that were exposed to the virus. "That's important because if there is no relationship between bat population density and rabies, then reducing the bat population won't reduce rabies transmission within bats." The world's largest known sample of fossil humans has been classified as the species Homo heidelbergensis but in fact are early Neanderthals, according to a study by Prof Chris Stringer of the Natural History Museum. This puts the species Homo heidelbergensis back at the heart of human evolution as the last common ancestor that we, Homo sapiens, shared with Neanderthals, Homo neanderthalensis, says Stringer, the Museum's Research Leader in Human Origins. 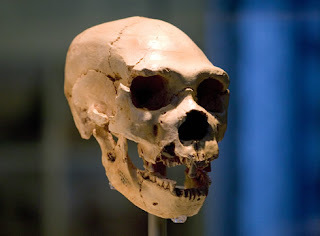 The Status of Homo heidelbergensis study, which was published in the journal Evolutionary Anthropology this week, reviews the fossil and DNA evidence for the existence of heidelbergensis and its place in the human family tree. Central to the discussion is the important site of La Sima de los Huesos (meaning 'Pit of the bones'), in Atapuerca, northern Spain. It has yielded more than 6,000 fossils from about 28 individuals. They had been identified as H. heidelbergensis by the team who originally discovered the fossils, and have been estimated to be about 600,000 years old. For some palaeontologists, such as Stringer, this has confused ideas about where heidelbergensis sits in the human family tree. Efforts to prevent the spread of a fungus that causes white-nose syndrome in bats will be stepped up after a low level of the fungus was detected on a hibernating big brown bat at Iowa's Maquoketa Caves State Park. The detection of the fungus came from a swab taken during sampling on the hibernating bats in March. The testing is used to detect DNA that would indicate the presence of the fungus (Geomyces destructans) that causes white-nose syndrome, which has been deadly for bats particularly in the northeastern portions of the United States and Canada. The testing was done as part of a national study being conducted in an effort to stop the spread of the disease. A total of 15 bats were swabbed at Dancehall Cave with the very low level of the fungus detected on only one bat. 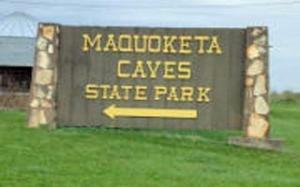 Howell said even the small detection of the fungus changes the dynamics at Maquoketa Caves State Park. “We now go from trying to prevent the fungus from getting into the cave to trying to prevent it from getting out." Members of Clare County Council have defied legal advice and their own county manager by allowing an area to be zoned for housing beside an internationally important site for the rare lesser horseshoe bat. Councillors overwhelmingly voted in favour not to zone a site “open space” that is 120m from Poulnagordon Cave, near the village of Quin. The cave is home to 89 of the protected bats. A report by the National Parks and Wildlife Service warned councillors not to zone the site for housing, stating that the cave was a special area of conservation and was of international importance due to the numbers of bats it contains. The lesser horseshoe bat is one of the world’s smallest bats, weighing only five to nine grams with a wingspan of 194mm to 254mm and a body length of 35mm to 45mm. It is afforded legal protection through the EU habitats directive. Video contrasting and comparing changes in Mammoth Cave and photograph over the last 150 years. Imagine an inland sea full of aquatic life, a tropical climate and sandy beaches. At one time, a long, long time ago, that was the Ozarks. A recent discovery is proof of what once swam here. During tours of Smallin Cave, guides talk about the history of the Civil War, the Indians, even things from the Ice Age like a recently discovered mastadon tooth. Now, paleontologists say, there's a rare find from a 350 million years ago. 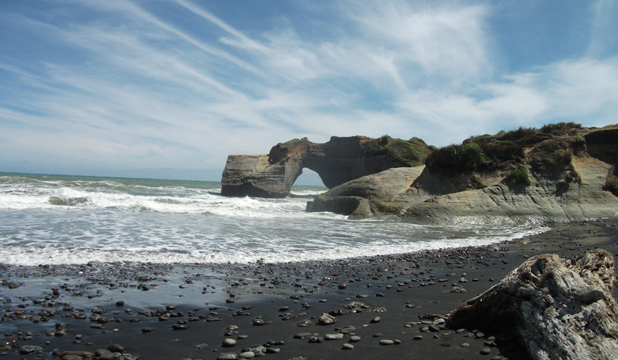 It's an endless treasure of beautiful formations and fossils. "It seems like every day we see something new," said Smallin Cave owner Kevin Bright. Savage Cave could go back to Logan Co.